Apple today previewed iOS 6, introducing over 200 new features to the world’s most advanced mobile operating system, and released a beta version to iOS Developer Program members. 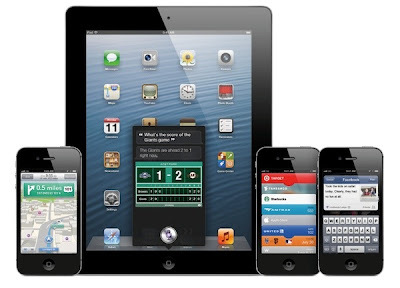 iOS 6 will be available to iPhone, iPad and iPod touch users this fall as a free software update. New iOS 6 features include: an all new Maps app with Apple-designed cartography, turn-by-turn navigation and an amazing new Flyover view; new Siri features, including support for more languages, easy access to sports scores, restaurant recommendations and movie listings; Facebook integration for Contacts and Calendar, with the ability to post directly from Notification Center, Siri and Facebook-enabled apps like Photos, Safari and Maps; Shared Photo Streams via iCloud; and Passbook, the simplest way to get all your passes in one place. Apple today launched the completely redesigned 15-inch MacBook Pro featuring the excellent Retina display, flash storage and quad-core processors. It measures just 0.71 inches thick and weighs only 4.46 pounds. Thanking for joining us. We will do a detailed coverage of each of Apple's announcement on TechzTalk later today. 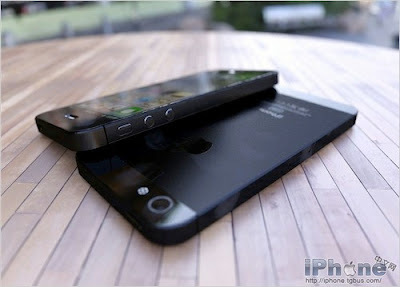 please visit us there for more information about new Apple products. Now he is giving a speech about how Apple is the only company that can do this and that's it from WWDC 2012 keynote. Tim is back on stage. He says lets review today's announcements "the new MacBook Pro. OS X Mountain Lion. The best OS X yet. iOS 6, with 200 new features. The world's most advanced mobile OS." iOS 6 is available today for the developers and Apple will ship it in Fall. Apple is also adding several new APIs to the iOS 6 including Maps, Pass Kit and transit apps. There is also Lost mode in which you can send a number to the phone, and the person who finds it can just tap on that to call you. Scott says these are only few of the features in new iOS 6. There are over 200 other features. Scott is now showing turn-by-turn navigation. It is very realistic and is being rendered in realtime. The 3D Flyover view looks really impressive. In fact it looks much better than Google's 3D view. It also has Satellite view. Scott is now demoing the Maps app. Maps have new Flyover feature that gives 3D models of cities around the world. Along with traffic service, Apple is also bringing turn-by-turn navigation and Siri integration. Apple is bringing new Maps app in iOS 6. It has integrated Yelp and traffic service. And now the much awaited Maps app. This feature should make the iOS devices more accessible for many users. Next is guided access- Scott says "We set out to make the most accessible devices. We were surprised at how many kids with autism have been using the phones, but there are controls in apps that you don't want them hitting." You can now select parts of apps to disable." It stores everything from gift cards to train tickets. Scott is demoing Passbook now. Scott describes it as a place to collect boarding passes, store cards, and movie ticket apps. Apple is introducing a brand new app called Passbook. Next is Mail app - it has new VIP feature that allows you to add a star to mark someone as VIP. Next is Photo Stream - Now you can share your photo stream with friends. Smart app banners — you can have users jump right into the app or to download the app. Sync between web activity and app activity. Safari will also allow direct upload of photo to websites. Next is Safari. iOS 6 will bring iCloud tabs and offline reading list to Safari. Apple is now unifying your phone number and Apple ID. So if someone calls you on your phone number for Facetime, you can answer it on your iPad or Mac. And we're doing the same thing with iMessage. Next is Facetime. It will now work on cellular networks. iOS is getting a do not disturb feature. "I can see many of you are like me and you've been awakened in the middle of the night — this tells your phone not to bother you. The messages will still come to your phone, it just won't light up the screen or make a sound." "If you choose reply with message, you can choose any of these, or if you choose remind me later, you can be reminded in an hour... or remind me when I leave, which will set up a geofence and remind you when you leave the building." Next is the Phone app. Scott says "Next, some nice enhancements to the phone app. You probably have been in a meeting where you can't take a call, but you want to text back, or remind yourself to call them later. Now there's a new tool in the phone app where you can." An iOS API for Facebook will allow integration with third party applications. Facebook integration. Scott says "We've been working to create the best Facebook experience on a mobile device." Facebook integration will be similar to Twitter integration. And Siri is coming to iPad. Siri will be getting new languages and local search support around the world. Scott says that those are just a few things Siri has learned in iOS 6. Siri is now movie buff via Rotten Tomatoes.Siri also has new Eyes Free feature while driving. Apple has partnered with Opentable for reservations via Siri. Siri will now sort results by ratings. Scott is demoing Siri's new capabilities in iOS 6. it can read sports scores. It has over 200 hundred new features. starting with Siri. Scott says I am happy to annouce iOS 6 today. Now he is giving stats about Notification center, iMessage, Game center and Twitter. He announces we have sold 365 million iOS devices through March. Scott Forstall is now on stage to talk iOS 6. OS X update is free for people buying new Mac starting today and developers will get access to final version today. OS X Mountain Lion is coming next month for $19.99. Craig says OS X Mountain Lion has over 200 new features. And Apple is adding some features specifically for China. Craig is now demoing Airplay and Game Center. Game Center comes to OS X and offers across platform and head-to-head gaming for iOS and OS X devices. Airplay is now available system wide and works will every application. 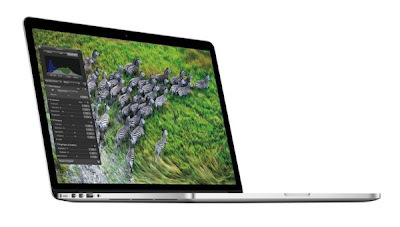 The feature automatically refreshes data, silently and power efficiently on the new MacBooks. Craig says "Mountain Lion we built support for iCloud right in. When you sign in with your account, we configure all of your apps and your content is up to date across devices." OS X will have a new technology called "Power Nap". Safari looks cleaner and the sharing feature works well. Next is Safari. It gets unified smart search field, iCloud tabs and a new tab view. Share is now built in every app and you can share links, video, pictures across applications. OS X is getting dictation and it will work across applications. Even in Microsoft word. Next is notification center. It looks just like notification center in iOS. Till now the demo is all about iCloud and the new apps. Mountain Lion demo time. He is showing the notes app, reminders and messages in action. Apple is introducing three new apps - messages, reminders and notes. First is iCloud - Mountain Lion we built support for iCloud right in. When you sign in with your account, we configure all of your apps and your content is up to date across devices. He says Mountain Lion is a major new release with hundreds of new features, I'm going to show you 8 features today. Now Craig Federrichi is on the stage to show the new OS X Mountain Lion. Phil says its simply the best laptop we have ever made. 15.4-inch Retina display MacBook Pro will start at $2,199 and it will come with 2.3GHz quad core processor, 8GB RAM, 1GB 650M graphics and 256GB Storage. Crowd has gone wild seeing the new laptop. everyone is cheering like crazy. 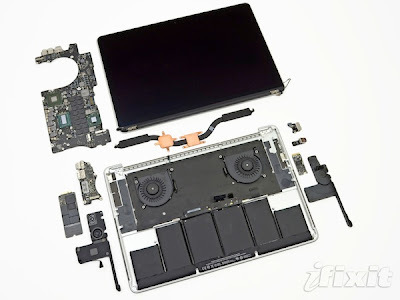 Apple has built a new cooling system that would keep the ultrathin laptop cool even though it has quad core processor. Now a introductory video for the new Laptop. The laptop also has 802.11n, Bluetooth 4.0, dual mics, Facetime HD and best stereo speakers on a notebook according to Apple. Apple will be shipping Thunderbolt to Firewire and Thunderbolt to Ethernet adapter. It has 2 Thunderbolt ports, HDMI port, two USB 3.0 ports and SD card slot. The laptop is based on up to 2.7GHz core i7 quad core processor, GeForce GT 650M graphics, up to 768GB flash storage and offers 7 hours of battery life. Phil says everything inside the new notebook has been reinvented. He shows the interior of the laptop. It's mostly battery. Pro apps like Aperture and Final Cut will be updated soon. Apple has updated the OS X for the new display along with all the applications. Phil says its the world's highest resolution notebook display. The 15.4 inch model has a Retina display with 2880 X 1800 resolution and 220 dpi pixel density. He reveals the new laptop calls it the most beautiful laptop ever. And it is really good looking. The new laptop is just 0.71-inches thick and weighs 4.5 pounds. Killer display and new design. Phil says so whats next - we are adding a new model to the notebook lineup. The next generation MacBook Pro. What do you want on that? Now the MacBook Pro update, there is now Retina display. However the Pro laptops are getting up to 2.7GHz core i7 quad core processor and Geforce GT 650M graphics. prices are same as before for both the 13-inch and 15-inch models. The biggest surpriseis the 13-inch model will now start at $1199 with 1.8GHz processor, 128GB storage and 4GB RAM. The $1,499 13-inch model will be priced $1499. Prices for 11-inch model will remain same. The laptop will also have USB 2 and USB 3 ports, 720p Facetime camera and it will be available in 11-inch and 13-inch. Apple is updating the MacBook Air with up to 2GHz dual core i7 processor, 8GB RAM and 512GB flash storage. Phil says everyone is trying to copy our notebooks. He invites Phil Schiler on the stage to talk about the notebook lineup. Tim is back on the stage. Every developer in the video is talking about how their business has improved with the help of iOS device and how they are developing apps for the App Store. Apple is showing a video to highlight developers around the world. Apple store is available in 120 countries and Apple is adding 32 more countries today to the app store. Tim is starting with some stats about App Store. The App Store has more than 400 million accounts and there are 650,000 app for iPhone and 225,000 apps for iPad. Over 30 billion apps have been downloaded till now. And Apple has paid developers over $5 billion. Apple has over 1000 engineers to help developers at WWDC. Tim is on the stage and tells WWDC was sold out in record time. Apple starts with a Siri video... Siri cracks a weather joke and now is asking what can I help you with? Music is going down and lights are off. The hall is completely full and Apple is playing some indie music to entertain the crowd before the event start. Everyone is in the hall the WWDC 2012 keynote should start in about 7 mins. Just few more minutes to the start. We have never see such a big crowd at WWDC before, it definitely going to be a big event. This year’s Apple WWDC (Worldwide Developers Conference) keynote is going to be very interesting because of both the software and hardware announcements that are coming at the event. Apple has already announced that we will get details about next generation OS X Mountain Lion launch and see the upcoming iOS 6 for the first time in action at the event. Rumors are Apple will update 4 out of 5 Mac systems including MacBook Pro, MacBook Air, iMac and Mac Pro at the event. There are also rumors that Apple might introduce a completely new laptop lineup, which they would simply call “MacBook”. It will be similar in specs to MacBook Pros, but without an optical drive resulting in a slimmer profile and lighter weight. 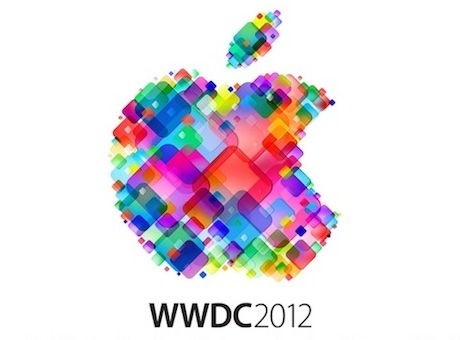 We will be doing live coverage of this highly anticipated WWDC 2012 keynote on live.TechzTalk.com starting at 10AM PST/1PM EST/ 6PM London/ 11:30PM Mumbai/ 2AM Tokyo on June 11th. Please join us for live blogging of the event. Sony has introduced Cyber-Shot DSC-RX100, their new flagship compact camera that packs a big 1-inch image sensor in a small compact camera body. The sensor on the new camera is slightly bigger than CX format sensors on Nikon 1 series camera, but smaller than Micro Four Thirds system cameras. 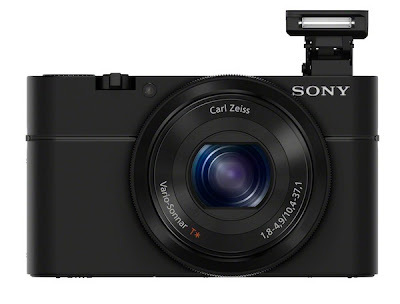 However, overall all size of the new camera is smaller than both the camera systems.